The internet has 3.5 billion users, and those users have an average of 7.6 social media accounts. There’s no getting around it – social media has taken over. Given that people spend so much of their time online, it’s no surprise that social media is one of the most important channels for engaging leads. And when it’s combined with marketing automation, social packs a powerful punch. That’s why SharpSpring has launched two game-changing features – SharpSpring Social and a new Content Calendar – making it easy for customers to manage a comprehensive digital marketing strategy from one central hub. Craft and schedule your social posts right from within SharpSpring. Trigger automations and lead scoring rules based on social interactions. Create social listening feeds to monitor competitors and keywords. View your social posts in the Content Calendar alongside your scheduled emails and blog posts. Measure end-to-end ROI of marketing campaigns. How does SharpSpring Social work? By fully integrating social media management with marketing automation, SharpSpring Social empowers marketers to increase brand awareness, generate leads, and boost customer engagement in ways stand-alone social tools can’t. 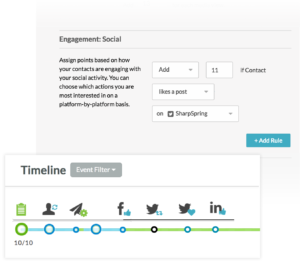 Users can identify hot prospects by adjusting lead scores based on social activity. In other words, you can assign values to social interactions, and then sit back and watch as lead scores automatically adjust based on your leads’ social activities. Can you say #smarketing? 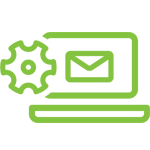 Arguably the most exciting functionality, SharpSpring Social also allows you to trigger sales notifications, emails and other automations based on social activity. Ultimately, these tools enable users to measure the end-to-end ROI of their marketing strategies by capturing and tracking every activity in one place. 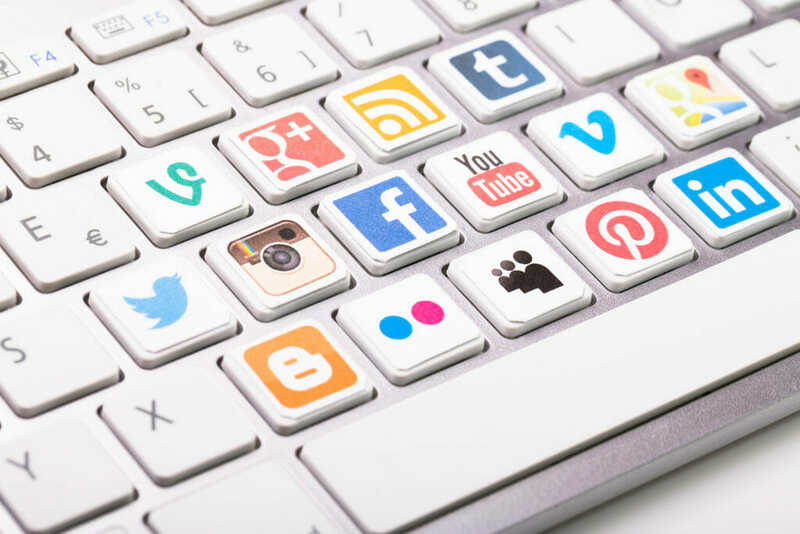 SharpSpring Social offers the standard capabilities you’d expect from a social management platform, too, such as social publishing and listening. 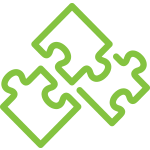 Customers can schedule and publish posts to Facebook, LinkedIn, and Twitter directly from SharpSpring. Social Listening allows users to keep a close eye on how people are interacting with their brand. By following interactions with and mentions of your brand, you can track your overall brand health, create the right content for your audience, develop ideas for marketing campaigns, and much more. You can also follow social conversations that matter to you and stay updated on hashtags, keywords, competitor profiles, and more. SharpSpring’s Content Calendar allows customers to create and publish social content right from a point-and-click calendar view. The interactive interface offers a holistic visual of all scheduled marketing content – including emails, blog posts, and social posts. Create, schedule and publish content to Facebook, LinkedIn and Twitter directly from SharpSpring. Monitor interactions with and mentions of your brand to keep track of audience trends and overall brand health. Stay updated on hashtags, keywords, competitor profiles and more. Adjust lead scores based on social interactions, and capture these interactions on the Life of the Lead. Create trackable links to leverage Media Center assets right in SharpSpring Social. To learn more about how SharpSpring Social can help you turn leads into sales, get a demo today.